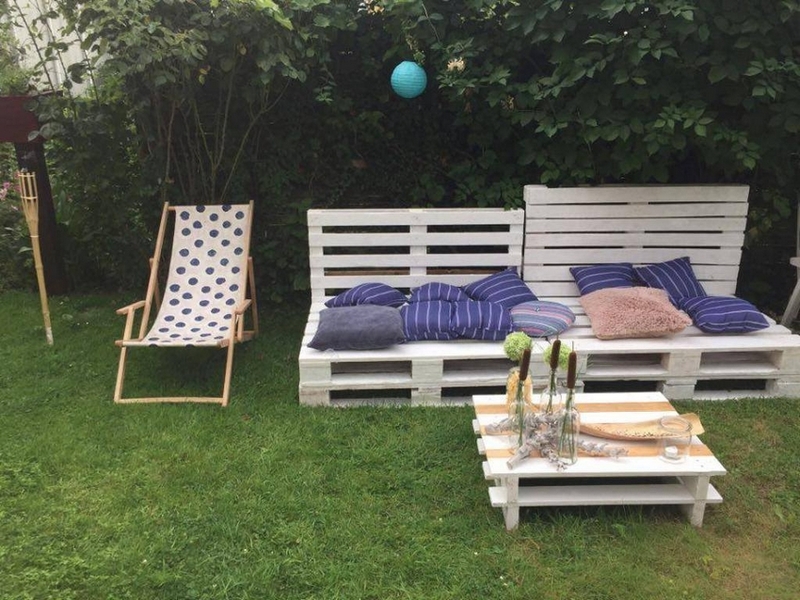 I have been arguing this since long that the pallet wooden benches are probably the most appropriate item that could be used in gardens and patios. This is because of that close affiliation that we have witnessed over a long period of time. So now a days we are mainly focusing on various wooden pallet bench inspirations. This one right here is going to be a decorated one along with the table, but the decoration is not meant to be taken in its literal meaning as it is not going to catty any paintings or caricatures on it. 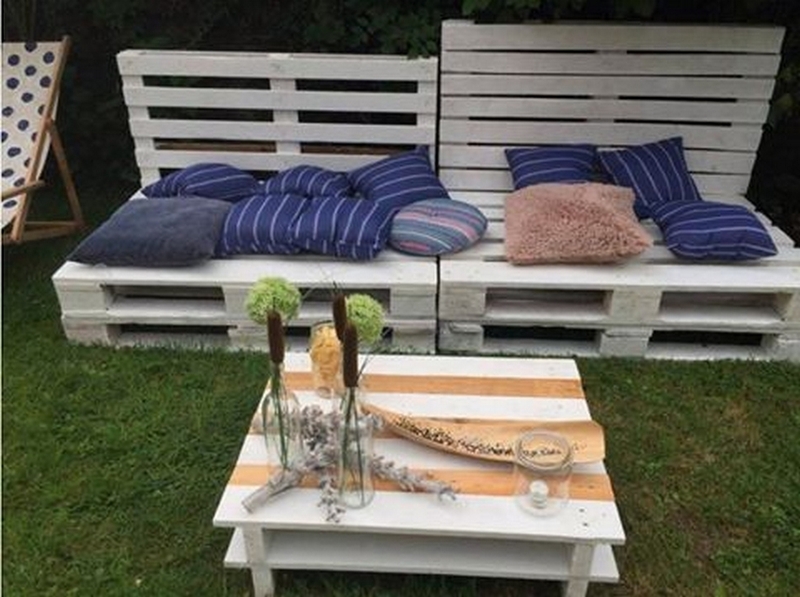 Look at these wide and spacious wood pallet couches, they are certainly bigger than the usual ones that we normally recycle or see around us. The base of both of them is similar but the backs are slightly different like the one of them is having noticeable space in each layer. When we said decorated, we meant we are going to decorate it with some fancy cushions. 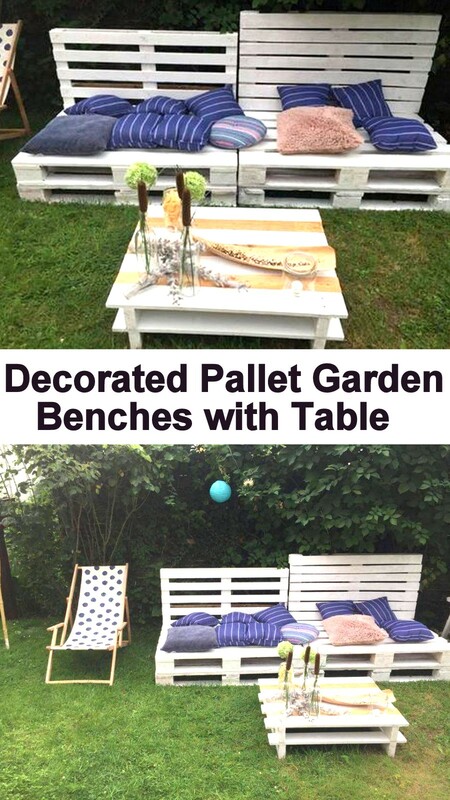 Normally we use silken and dull colored cushions and couches on the outdoor wooden pallet furniture items. But here we have used these fluffier fabrics and brighter shades just with the intention to decorate it. So, finally we are pondering upon the ways that we have adopted to decorate the wood pallet repurposed garden benches along with the table. We have stained the entire range with a very classic shade, then we used some cushions have very eye catching shades, and some charming fabric patches are placed on the table too. And in the end we have filled the whole table top with several decoration pieces to create a perfect atmosphere to make you guys relaxed. 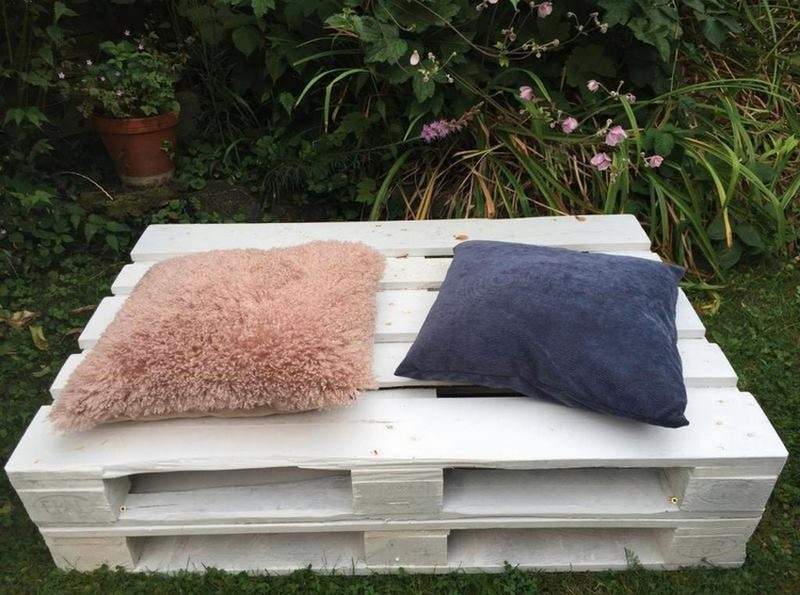 Sit on these wide wood pallet benches or use them for lying as the wooden pallet daybeds.